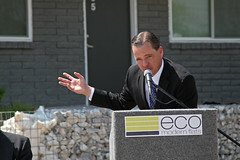 Official ribbon cutting ceremony at Eco Modern Flats in Fayetteville on Thursday, April 14, 2011. 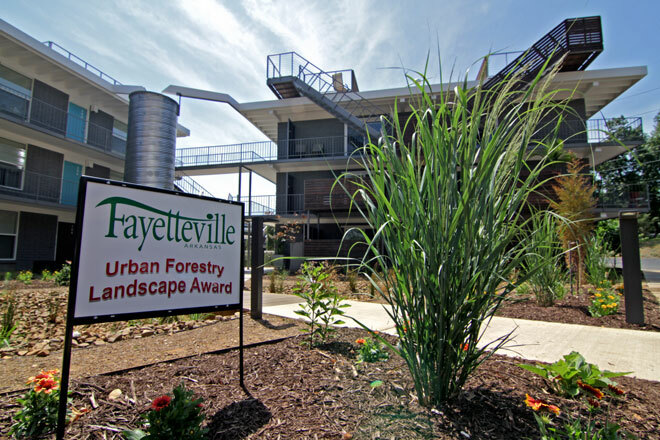 Last December, Fayetteville was patting itself on the back after news that it would become home to the first LEED certified multi-family development in the state. Now there’s even more to celebrate. 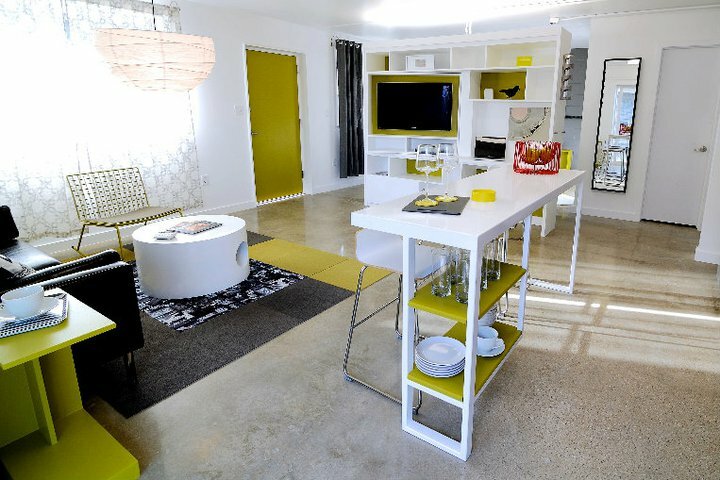 MC3 Multifamily this week announced that their newly renovated apartment complex, ECO Modern Flats, has been awarded a LEED Platinum certification, the highest recognition awarded by the U.S. Green Building Council for green building and design. 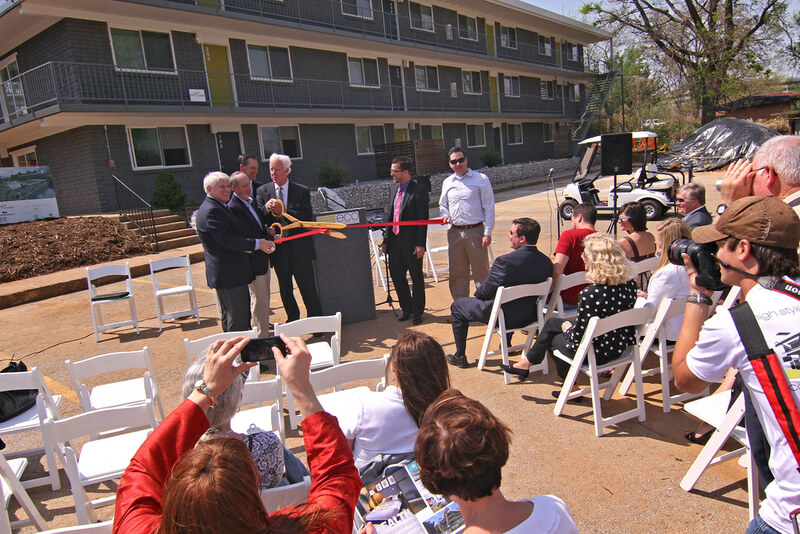 The 40-year-old complex, formerly Glendale Apartments, is located at 130 S. Hill Avenue just south of the University of Arkansas campus near downtown Fayetteville. 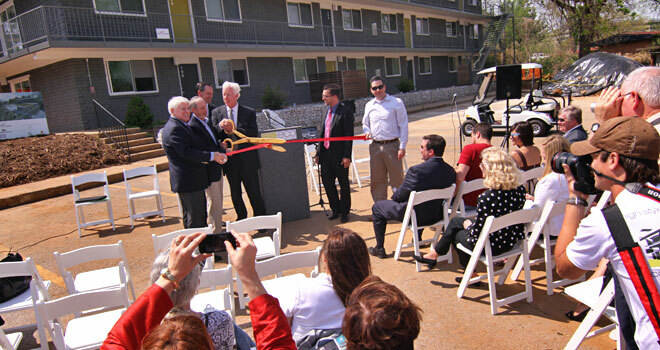 The certification applies to the first of four buildings being remodeled at the 96-unit complex. The other three buildings are expected to qualify for LEED Platinum upon completion later this year. As part of the certification process, the building underwent a technically rigorous process including onsite inspections to verify that it is built to be energy and water efficient, environmentally sound, and a healthier place to live. 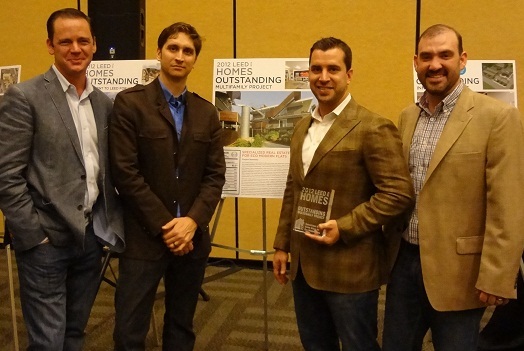 Nate Kredich, Vice President, Residential Market Development with the USGBC, said the residential sector contributes greatly to climate change and is responsible for 21 percent of U.S. carbon dioxide emissions. 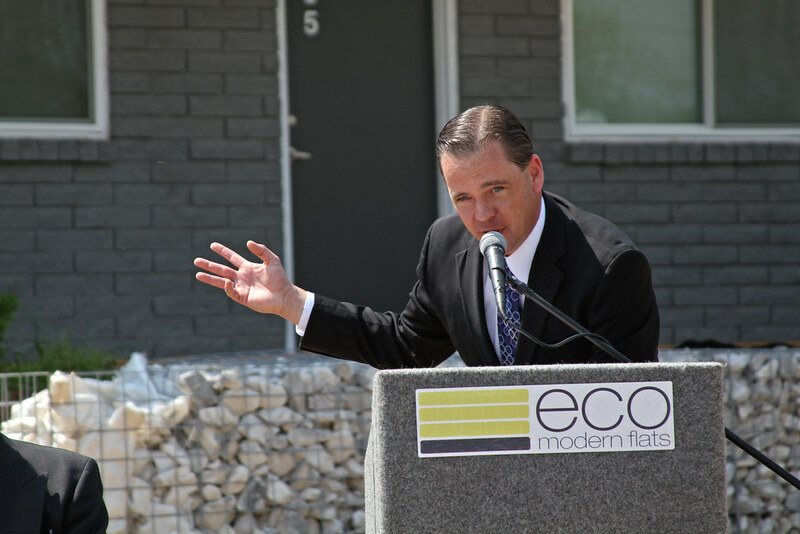 Eco Modern Flats is the first multifamily development in the state to attain any level of LEED certification. 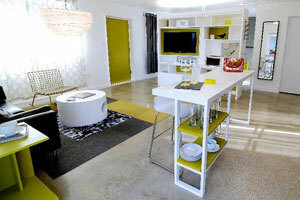 It is the first project in Washington County to qualify for the LEED Platinum standard. The LEED Platinum certification places the Fayetteville complex among an elite number of developments in Arkansas including the Clinton Presidential Center and Heifer International Headquarters.